And for that, Gene Wilder and his family should be applauded. Many families want to treat Alzheimer’s disease as a secret. While Wilder’s family understandably honored his wish to keep his affliction private during his life, they issued a statement about it shortly after he died. Wilder did not want to disappoint his many fans, of all ages, or to trouble them about having to talk about Willa Wonka with anything other than happiness. But he and his family did want to publicly describe his battle after he died, which helps highlight the need to combat the disease. The decision of Gene Wilder’s family, and others such as Ronald Reagan and Glen Campbell, to go public with this battle is important to bring awareness to this illness-pirate. Alzheimer’s disease is the sixth leading cause of death in the United States. More than five million Americans are living with it, and one in three seniors die with Alzheimer’s or other dementia. This year alone it will cost our country more than 236 billion dollars. These facts, and a great deal of more information, are available from the website of the Alzheimer’s Association, which is a tremendous resource that helps families deal with the disease, funds important research, and shares the ten warning signs for early detection. Early discovery and treatment is critical, because while Alzheimer’s disease cannot be stopped, it can be slowed with proper treatment, if caught early. Wilder’s struggle serves another valuable lesson to others because his family did not hide from his condition. The family statement notes that it was his wish to handle publicizing his condition only after he died. This means that Wilder and his family talked about, and planned for, the inevitable deterioration that would occur. This same approach should be taken with estate planning. Those suffering from the early stages of Alzheimer’s disease, or other forms of dementia, can often still make legally-valid decisions for themselves, depending of course on the particular circumstances surrounding each person at the time. A diagnosis of Alzheimer’s does not necessarily mean that the sufferer is legally incompetent. But it does change the way legal planning can be done. For those with no, or outdated estate planning, it is critically important to move quickly, before the person deteriorates to be unable to make decisions or sign legal documents. It is also helpful to work with a reputable estate planning attorney — and preferably one experienced in elder law — because additional steps may need to be taken to insure that any new estate planning documents are done correctly. For example, many attorneys will want a doctor’s letter attesting to the patient’s ability to understand what he or she is signing, or may take other steps to document that the person is still competent to sign documents, such as videotaping the meeting when the documents are executed or conducting mental status evaluations. The earlier that these steps are taken, the greater ability to do advance planning and to prevent the chances of a family fight later on. When a person suffering from Alzheimer’s disease signs new estate planning documents after the disease has progressed, it greatly increases the chances that someone in the family may contest the validity of the documents in court. Too often, this can spark a brutal estate battle when the person dies, or even before. Casey Kasem, Marlon Brando, Brooke Astor, Peter Falk, and Glen Campbell provide just a few notable examples of ugly court battles involving someone with Alzheimer’s disease or another form of dementia. To help prevent this, as soon as someone receives a diagnosis of Alzheimer’s disease, he or she, with his or spouse or other close family members, should immediately meet with the family’s estate planning attorney to make sure that all of the legal documents are in place, including the will, trust, power-of-attorney, living will, and similar documents. The family should also confront, head-on, how the family will handle caregiving needs when the person deteriorates. 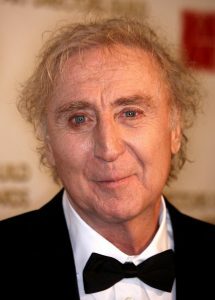 Luckily, there was no public disagreement for the family of Gene Wilder while he was alive. Early indications suggest that we won’t see a battle over his estate now that he is gone. It appears that Wilder did the proper estate planning and minimized the chances of a fight among his heirs, although his passing was too recent to know for certain. There have been no reported hints of family discord, despite his reported net worth of around $20 million. This is a promising sign that Wilder took the proper steps with his legal planning. Hopefully other families facing the illness-pirate, Alzheimer’s disease, will follow this same course and do the proper planning, early, before the person is no longer competent. The terrible effects of Alzheimer’s disease are difficult enough for families, without the added burden of fighting over care, visitation, or money.